Vital Dent Dental Office franchise business opportunity. 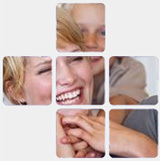 Free Vital Dent Dental Office business franchise information. Vital Dent, a well-respected leader in the dental health care field, is a multi-national company which began business in <?xml:namespace prefix = st1 ns = "urn:schemas-microsoft-com:office:smarttags" />Spain in 1989. 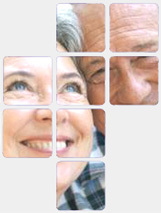 Started first as a dental prosthetics business, in 1991 the company began developing dental offices. Then in 1995, Vital Dent established its franchise system. 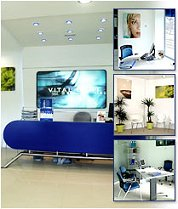 Vital Dent owns and operates 23 company offices and 160 franchised offices in Spain, with another 10 franchised offices in Portugal and 2 offices being built in Italy. The Vital Dent franchise network is now being developed in the United States. The company operates two company-owned offices in mid-town New York City and a third location will be opened in Queens by July 2005. At Vital Dent, we are there to help our franchise owners through all of the steps necessary to build and manage a successful dental business. Both our franchise owners and the patients benefit from a series of exclusive services that only an established leader in dental health care can provide. It is not necessary for you to be a dentist. Brand Image - Nowadays, image is becoming more important in every aspect of business. Vital Dent provides a strong multi-national presence that allows our franchisees to take advantage of a proven brand name, with the marketing clout to back it up. Training Department - Our franchise-owners and their employees receive professional preparation with seminars, courses and ongoing training. With our training program we will adapt to the ever-changing market and, we also monitor staff development geared to giving the patients the most professional care. R+D+I Department - At the heart of Vital Dent are our professionals, who push forward the Research, Development and Innovation. As a result, we use the most up-to-date technology, from which our franchise-owners benefit. Marketing Department - Vital Dent uses a number of marketing strategies to increase the brand prestige of the Franchise Network. Advertising is our major tool. We utilize letterbox fliers, mailings, T.V., outdoor advertisements and our exciting website. Economy of Scale - By being part of the Vital Dent network you will reap the benefits of our buying power. We have domestic and international agreements with well known companies in the industry that provide services and products at very competitive prices. Human Resources - This is one of our most important departments. Our company is based on people. We demand high quality standards for all our staff and always look for the best people in the field. Turn-key Operation - The turn-key operation gives franchise-owners the facilities needed to locate their business. Additionally, the service includes the changes needed to fit out the dental facility and bring it up to required standards. As such, from the very first day, the dental facility has all its staff selected and trained, all equipment ready to go and patient appointments already set. Our services are available from the moment the franchise opens its doors. Franchisees wanted for New York, New Jersey, Connecticut and Florida markets. To learn more about the Vital Dent Dental Office franchise opportunity, simply complete the form below.